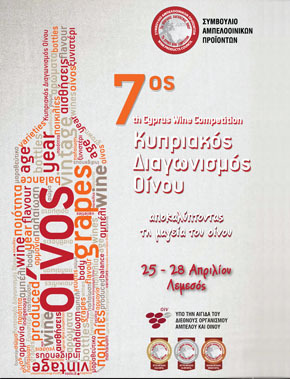 2nd Pancyprian Competition Cocktail with a wine from indigenous varieties, the Zivania, Ouzo and Brandy. – Gastrognosia, Saturday, March 3, 2012. The event was a continuation of last year’s effort and aimed to expand the possibilities in the use of wine from indigenous varieties of Zivania, Ouzo and Brandy, to the creation of quality cocktails. It is noted that in this event, the WPC demonstrated considerable sensitivity on the matter raised by the message about moderate drinking. To organize and conduct of the competition rules were drawn, fully harmonized with the provisions laid down by the IBA (International Bartenders Association). The responsibility for implementation of the competition was the Organizing Committee, which consisted of the President of CAB, a representative of WPC, the controller judges’ taste, the person responsible for technical training of judges and judges responsible for the garnish. The jury had the responsibility for evaluation and scoring of the competing cocktails, which consisted by reputable judges. The first and second winner in taste were awarded prize money € 300 and € 150 respectively. The first winner will also represent Cyprus in European contest which will be held in Czech Republic. All winners were awarded trophies and all participants of the commemorative diplomas.